The K&K Pure Mini with Tapastring Jack includes the Tapastring Vintage Jack, for players who do not want to drill a 1/2" hole in their guitar for a standard endpin jack. 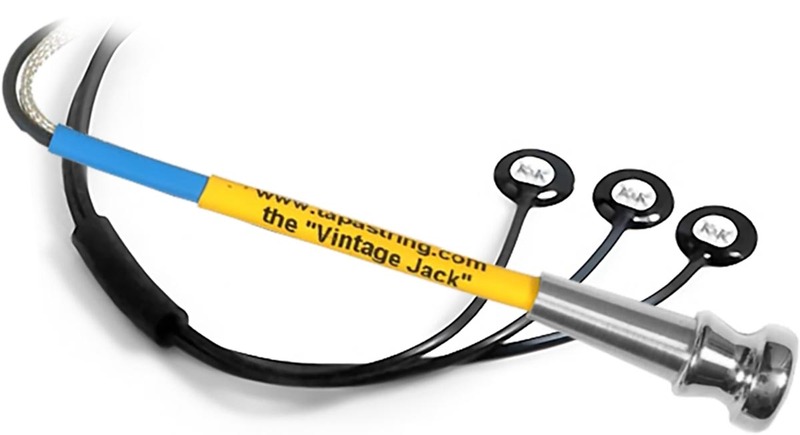 The Tapastring Jack is specifically designed to replace the tapered strap button on your guitar. A set of matching connectors have been attached to both the Vintage Jack and the Pure Mini pickup sensors to allow solderless connection of the pickups to the jack. 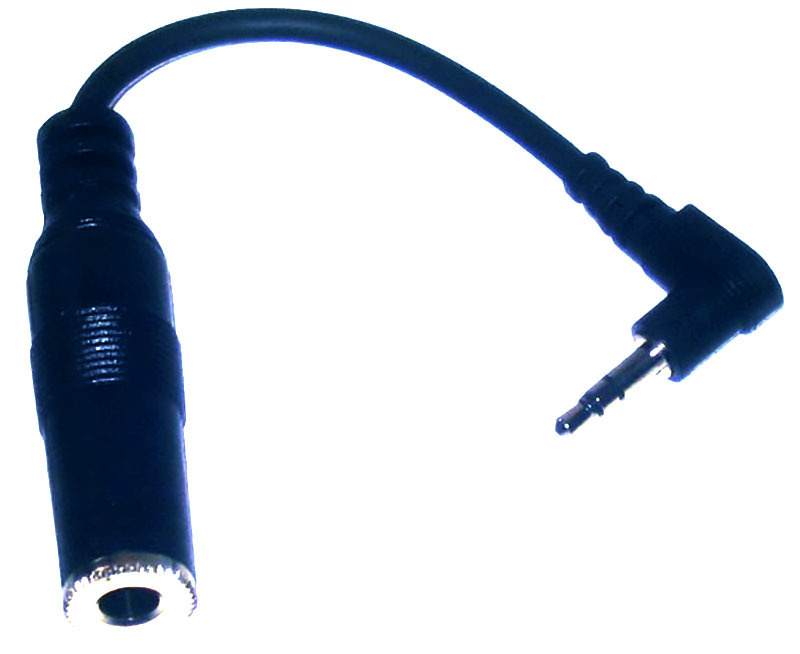 Also included is a 1/8" male to 1/4" female cable adapter to allow you to use your own standard 1/4" instrument cable (not included). The K&K Sound Pure Mini is an award-winning passive three-sensor pickup system designed for steel string guitars. No battery, no onboard electronics, just the pure pickups. Don't be fooled by the sound of some competitors' "thin sounding" passive systems. The Pure Systems are definitely different. They sound full and rich and reproduce the natural acoustic sound of your guitar. The K&K Pure Mini is the perfect plug-and-play solution for the musician who wants a warm, full-range signal without worrying about cluttering up their instrument, adjusting onboard electronics, or having to remember to change the battery. The highly sensitive Pure pickup sensors transmit a significant portion of the soundboard because of their position on the bridge plate inside the guitar. Each of the three sensors is designed to pick up a specific string pair, but also "listens" to the adjacent area around the bridge. The Pure pickups are not under pressure and therefore do NOT sound percussive or harsh. The Pure System reproduces all strings nicely balanced, a known problem with undersaddle pickups. Unlike undersaddle pickups which passively can sound thin and trebley, the passive Pure system puts out a nicely balanced, warm, full range signal. This high output pickup can drive most amplifiers directly, without the need for a preamp. If you are plugging into a PA system or mixer board, you may require a preamp to increase the signal strength to match that system. We recommend the K&K Pure Preamp or the K&K Pure XLR Preamp, both of which are perfectly matched to the Pure pickups. Pickup sensor dimensions (each): about 1/2" x 1/32"